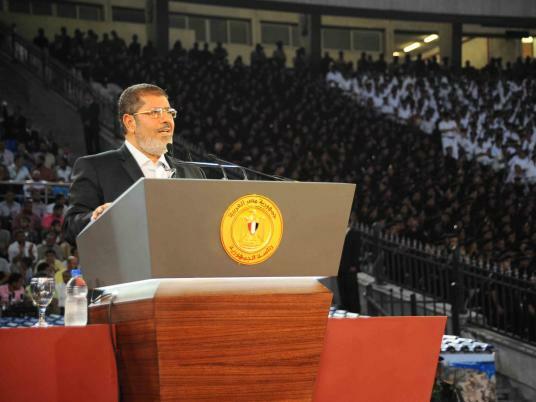 It began with a remark in a speech by President Mohamed Morsy at a celebration commemorating the October War. In the speech, Morsy said that authorities were investigating a series of unnamed companies which were engaging in corrupt practices. The effect was immediate. The main stock index, the EGX 30, dropped 2.42 percent the following day, as investors and traders speculated which were the companies in question. Prime Minister Hesham Qandil was put on damage control, assuring investors that no retroactive punishment would be meted out to companies operating in Egypt. But Morsy’s remarks have had a lasting effect on investors, who worry that the president’s tough rhetoric on corruption and disdain for some companies’ use of tax loopholes might indicate an unfriendly attitude toward corporations overall. In recent weeks, investors have already been skittish due to ongoing labor unrest, a yet-to-be implemented economic reform program, and further prolonged negotiations with the IMF for a US$4.8 billion loan. Many traders suspected that one of the main companies in question was Orascom Construction Industries (OCI), a Cairo-based construction and fertilizer giant. The high amount of speculative trading around the company’s subsequent drop in stock value led the EGX to suspend trading one day, amid rumors of a government crackdown. “The EGX halted the stock not because they wanted an explanation to the inquiry but because they were concerned that incorrect news floating around online [that day] would harm the performance of the market and wanted us to resubmit the same disclosure we had put out a few days prior with any additional and relevant information,” Omar Darwazah, manager of corporate and investor relations at OCI, wrote in a statement to Egypt Independent. A meeting with the tax authorities is scheduled for the coming week, according to Darwazah. Though Darwazah did not give a reason for the meetings, many suspect the topic of discussion to be tax exemptions the company benefitted from when selling its cement unit to Lafarge in 2007, two months after it was listed on the stock exchange. For this “stock exchange game,” this certain company owes LE64 billion, plus LE14 billion in back taxes, or LE36 billion with interest, Morsy said. He added that the government had sent the company a letter on the matter. In a statement released by OCI, the company said capital gains from share sales on the Egyptian Stock Exchange are exempt from tax in accordance with Law 91 of 2005. Whether OCI falls into that category or not is yet to be determined. But Morsy’s comments, the market fallout, and Qandil’s attempt to mitigate the damage have many questioning whether the government has a clearly formulated economic policy. Some also suspect that the president might be choosing his words to please the masses, while Qandil’s are formulated for the business community. In an interview with Al-Shorouk, Qandil also stated that there was no vendetta against the Sawiris family that owns OCI. An examination of Morsy’s speech indicates it was a warning shot against companies he felt had overstepped their contracts. He mentioned the cases of other companies, such as one that usurped extra land for agricultural reclamation but then got a verbal agreement from the former regime to develop the land for real estate. It was a blatant case of breach of contract, Morsy felt. Another company, thought to be the Talaat Mustafa Group and its Madinaty project, was also mentioned. He said it had been given land at below-market prices. While all the other companies Morsy mentioned are currently embroiled in legal procedures, the legality of OCI’s sale had not been questioned before. But the attention from government authorities has thrust a blue-chip stock and the Egyptian market’s biggest company by market capitalization, into the spotlight. Not all see the market commotion created by Morsy as necessary, though. To his knowledge, he said OCI had benefited from legal tax exemptions, and if Morsy claims otherwise publicly, he should have a case to back it up. In his speech, Morsy stated that the amount gained by the companies that had benefited from what he deemed “corruption” was LE100 billion, but he did not provide the specifics behind the ambiguously even number. The events of the past month have left many economists and bankers scratching their heads and trying to guess the government’s next step. Some even contend that pressure being placed on these companies is nothing more than an attempt by the cash-strapped government to milk the private sector for revenue. Others maintain that Morsy’s statements and the tax authorities’ talks with OCI are completely unconnected. Still, others say that Morsy’s statements put pressure on tax authorities to deliver this sum or attempt to acquire it. Mahmoud Helmy, former MP and member of the Freedom and Justice Party, said it’s all about making sure that companies are held accountable to the law. “Morsy didn’t name any names, but he sent a signal to the people that there will be a closer look taken at this stuff,” said Helmy. In his speech, Morsy reassured investors that legal contracts will be honored. He pointed out that while 6.5 million people are employed in the public sector, 17 million are employed in the private sector. He said private sector workers will be respected, except those who have broken laws or engaged in corruption, who he said had taken advantage of the Egyptian people. “There will be no giving up these rights,” he said.